Cannabis is illegal on the federal level and, by and large, it is federal regulators who oversee banks, even if they are chartered by the state. In particular, the Bank Secrecy Act and the Controlled Substances Act make it a felony to knowingly launder money from the sale of cannabis. Most banks are scared to touch the money, for risk of losing their charter or even opening themselves up for criminal prosecution. First, you will hear about cryptocurrency. A lot. Cryptocurrency will be the answer to all of your problems. You will be told that such and such company is “this close” to securing a bank that will allow every cannabis business to perform all of their transactions in bitcoin. And when you tell them you would be interested in seeing this work at a store, you never hear from them again. Second, you will be told that the state will need to mandate a cash-less “closed-loop” system for all cash transactions wherein a third-party vendor (who stands to make a lot of money) will transfer customer cash and/or credit into an account that can be used to purchase cannabis. When you ask how this actually solves the banking problem, you will be told it creates some sort of record that makes banks happy. When you ask to speak to their bank to verify these claims, you never hear from them again. And finally, you will be told the state should just start a bank. The bank will be the second-ever state-owned bank, the other being the Bank of North Dakota. When you ask how the bank will ever gain access to the federal reserve (which it will need if you ever want to cash a check or wire money), you will be faced with blank stares. When you ask who will put up the money and provide the expertise to pursue this longshot, you never hear from them again. Then you get to thinking: This is a big safety issue. This is a multi-billion-dollar industry. That’s a lot of cash on the streets. And cash breeds corruption for industry. Financial accountability would go a long way to ensure cannabis businesses are operating in a safe and state-legal manner. Surely, the federal government would rather the cannabis industry be banked? Turns out, the answer to that is “yes and no.” Bank regulators have been surprisingly helpful in finding a path for cannabis-related businesses to obtain merchant services, though they will tell you that banking cannabis is illegal any chance they get. State governments have been asking banking regulators to grant permission for cannabis banking for the past decade. Banking regulators have declined to do so, noting that granting permission would be a federal crime. Instead, banking regulators have outlined a route banks can take to receive forgiveness. On Feb. 14, 2014, the Financial Crimes Enforcement Network (FinCEN) issued a memo that provided guidance on how to report cannabis banking. It stated, again, that cannabis banking is illegal. However, it also stated that, if a bank were to proceed with cannabis banking, it had to fill out one of three Suspicious Activity Reports: (1) the bank has discovered it is banking a cannabis related business and, therefore, will terminate the account; (2) the bank believes that one of its cannabis-related businesses might be engaged in other illegal activity; and (3) the bank knows this is a cannabis-related business and is providing information about that business’ financial transactions. Implicit in these different SARs is that the bank regulators will not enforce a prohibition of cannabis-related businesses if they are being rigorously tracked so that it is clear that they are meeting state law and operating in a way that maintains public safety. While this memo gave a path to forgiveness, for many banks the burden was too onerous and the risk was still too high. However, over time, some community banks and credit unions have developed programs for cannabis businesses. 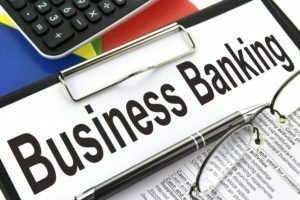 These financial institutions have openly reported to the federal government that they are banking cannabis businesses and, to date, there have been no enforcement actions or cease-and-desist letters from the regulators. So that’s it. That’s the somewhat unsexy answer for how cannabis banking is proceeding. There are some problems with this path. For one, these SARs are onerous and expensive, and those costs get passed onto the cannabis businesses as high banking fees. Fortunately, we are seeing financial technologies enter this space to better monitor these businesses and automate portions of the SARs. This drives down costs and increases accountability. Additionally, in newly legalized states, banks and credit unions are hesitant to be the first to bank these businesses. As the market grows, we inevitably see some banks and credit unions make that leap. As a newly legalized state, West Virginia is going through some of these growing pains. The solution is not cryptocurrency, closed-loop systems or a state bank. It will take patience and cooperation with local banks and credit unions that agree to accept the risk and oversight of the cannabis industry.